Offices that keep employees engaged with Instagram-worthy moments. Even the workplace is content for social media feeds. Each office is its own story. The way a company embraces its brand goes beyond an eye-catching logo. The mission of a company needs to be accessible and easily recognized by both consumers and employees. 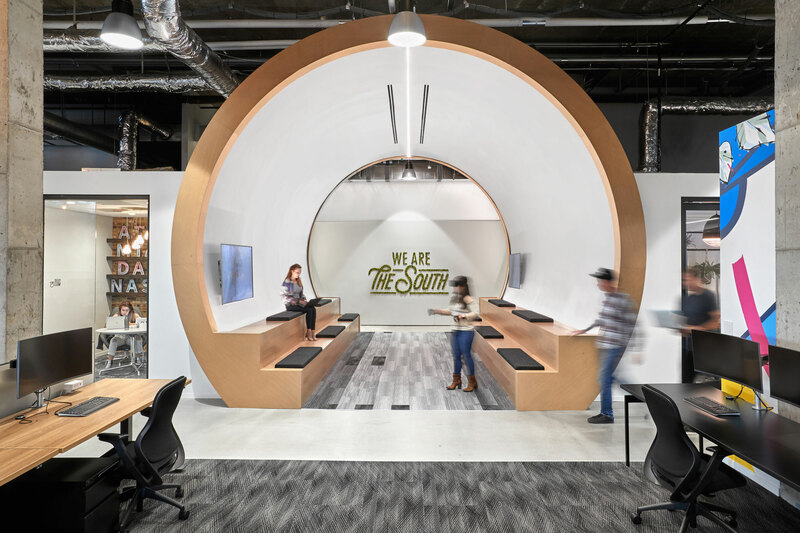 Colorful murals, sculptural conference rooms, and motion graphics create an imaginative environment employees are eager to engage with inside and outside the office.